M. Ward In Performance To mark the Feb. 17 release of his new record, Hold Time, singer-guitarist M. Ward gives a special solo performance. Hear selections from the new album, recorded live from the studios of WNYC in New York. 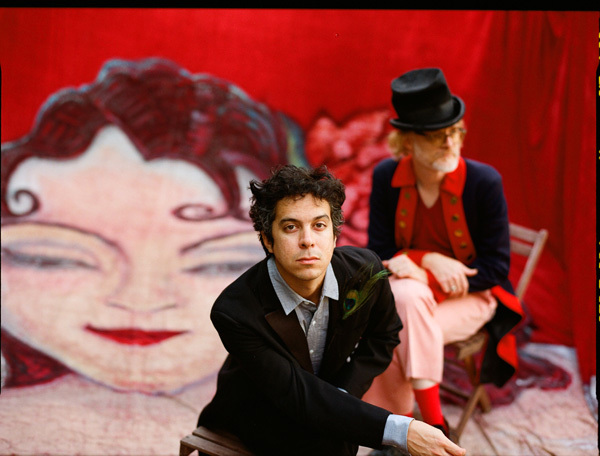 The acoustic performance includes an interview with M. Ward as he takes questions from listeners, WNYC's Alana Harper and All Songs Considered host Bob Boilen. To mark the Feb. 17 release of his new record, Hold Time, singer-guitarist M. Ward gives a special solo performance. Hear selections from the new album, recorded live from the studios of WNYC in New York. 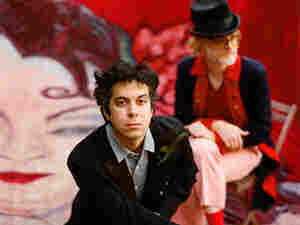 The acoustic performance includes an interview with M. Ward as he takes questions from listeners, WNYC's Alana Harper and All Songs Considered host Bob Boilen. Ward's songs seem to drift in on the crackling radio waves of a distant time. Warm and intimate, his largely acoustic and usually spare arrangements are a tribute to what Ward sees as the greatest era for American music: the 1950s and early '60s, when singers such as Buddy Holly and Roy Orbison infused country-rooted pop with honesty and romance. Hold Time continues this tradition, with a gorgeously produced mix of finger-picked guitars, upright bass and shuffling rhythms, all tied together by his achy voice. "I think the songwriting style of (Buddy Holly's) period was superior," Ward says in an interview with All Songs Considered host Bob Boilen. "There was a certain amount of joy in it, no matter how sad the song is. You get joy in listening to these Buddy Holly or Roy Orbison sad lyrics. I'm attracted to songs that have balance between the darks and the lights and [give] them all equal opportunity." Hold Time was mixed by producer and multi-instrumentalist Mike Mogis, with guest appearances by Lucinda Williams, Zooey Deschanel (She & Him), Rachel Blumberg (The Decemberists) and others. Though it mostly features all-new songs, Hold Time also includes covers of Don Gibson's "Oh Lonesome Me" and "Rave On," made popular by Buddy Holly.